Supply Chain News: How can Companies Most Effectively Outsource Innovation to Suppliers? Supply Chain News: How can Companies Most Effectively Outsource Innovation to Suppliers? Supply Chain News: How can Companies Most Effectively Outsource Innovation to Suppliers? Today, company after company is noting the criticality of innovation for success in today's hyper-competitive environment. At the same time, outsourcing and more virtual supply chains are a driving forces in the overall strategies of many firms. The natural questions: Should you look to outsource innovation from current or potential new suppliers? And if Yes, what are the keys to doing so effectively? Innovations must be broken into parts so that a single supplier that has worked on innovation or R&D should never possess a large enough portion of the IP to either share it with the competition or use it in its own business. .
"From a strategic standpoint, deciding whether to outsource innovation is similar to the make-versus-buy decision that companies have wrestled with since the advent of the industrial revolution," Sivakumar says. "However, because innovation carries with it concerns about knowledge management and intellectual property (IP), supply management must approach innovation outsourcing differently than other outsourcing decisions." 1. Lack of in-house expertise: Outsourcing is appropriate if a company would need to "add lots of new knowledge" to innovate. 2. Uncertainty in the process: If there are several technical hurdles to cross, especially in the early stages of the project, outsourcing innovation works well. It also is appropriate when the outcome of the innovation or new product development is "far from certain." 3. IP not well-protected: In cases where IP is not well-protected in an industry, outsourcing innovation works because new ideas "spread quickly from company to company and it may not be possible to differentiate products with innovations." Turning to outsourcing in this scenario can limit spending. 4. Experience in outsourcing: When all the factors above are equal, it is a "toss-up" between keeping the innovation process in-house and outsourcing it. However, companies that have experience with innovation outsourcing are three times more likely to outsource the process. Experienced companies "can better manage the outsourcing situation to produce effective results." 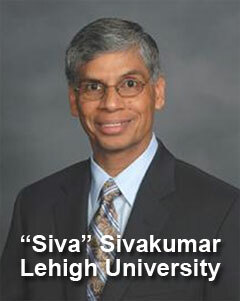 When a company faces one of these scenarios or others that push it to look for innovation partners, Sivakumar says there is one very critical principle that must be observed: the innovations must be broken into parts so that a single supplier that has worked on innovation or R&D should never possess a large enough portion of the IP to either share it with the competition or use it in its own business. If that is for some reason impossible, then there must be highly detailed IP protection agreements between the supply management organization and the supplier to protect the company's investment in innovation. But even then, relationship structure is just as important as the legal terms. "The structuring of the relationship between the company and the supplier to which the innovation process is outsourced is as important as the outsourcing decision itself," Sivakumar observes. "The effective management and ownership of IP will depend on the extent of trust between the two companies, as well as the extent of the control systems established in the relationship." To help companies better understand where and when to outsource innovation, Sivakumar has developed a simple four box matrix that guides them through an analytics process. As shown in the graphic below, for any specific product or component area, companies rate themselves along two dimensions: The desirability of outsourcing in that domain (IP protection, ownership, potential for opportunistic behavior on the part of the supplier, etc. ), and the company's likely ability to do so effectively (in-house expertise, availability of suppliers, time schedules, etc.). Cell 1: High ability to outsource, high desirability to outsource: Market testing of an incrementally new product can be easily outsourced because the company does not see a danger in outsourcing this activity. The company is already associated with the main product, and the potential for opportunistic behavior by the supplier is minimal. Outsourcing market testing for the product will save time and money. Cell 2: Low ability to outsource, high desirability to outsource: A small company with limited design and manufacturing expertise may want to outsource some of the prototyping for radically new products. However, because all the design features are not finalized and the designs can constantly evolve, the ability to outsource may be low. Cell 3: High ability to outsource, low desirability to outsource: While there are a number of suppliers that have expertise in test marketing, the company may not want to outsource the preliminary test marketing of radically new products due to the constant need for monitoring, the need to get direct customer feedback for making product modifications and prevention of leakage of the radically new product idea too soon. Cell 4: Low ability to outsource, low desirability to outsource: Idea generation for radically new products is more difficult to outsource because the company would have to provide exact and codified parameters for this task to govern the outsourcing relationship. In addition, given the potential leakage of highly sensitive new product ideas in formative stages, the company may not want this activity outsourced for secrecy reasons. This framework then obviously leads to innovation outsourcing priorities, starting with those in cell 1. "In the future, we will see more and more innovations created by networks of organizations linked by a variety of interfaces," Sivakumar concludes. "Carefully and systematically planned innovation outsourcing can offer companies a strategic advantage in many cases, adding value and creating superior value propositions." Do you think we will increasingly see "innovation outsourcing" with suppliers? Can the risks be well managed? What do you think of Sivakumar's recommendations and frameworks? Let us know your thoughts at the Feedback button below. I would suggest that the concept of out-sourcing innovation to suppliers should be expanded to be viewed as `systems` model rather than as potentially a discrete decision event for an entity. The closing paragraph of the article almost introduces this notion, but without much substance or development. Other than for a relatively narrow swath of commodities and services, the successful development, adoption, and implementation of innovation requires the simultaneous/symbiotic intersection of many individual technologies. These may range from basic science, to integration for functionality/performance, to manufacturing at the component or assembly levels, As is the likely the case in many hard-good industries, the percent of the final product produced - as opposed to `assembled` - by the nameplate manufacturer is relatively low. Further, it is not uncommon that the core competencies for the imbedded technologies are not fully owned or mastered by the manufacturer. Many/Most components/subsystems are purchased from third-party suppliers - included the associated embedded IP. The key for continuous innovation/improvement in these scenarios is to drive the formation of a limited number of strategic supplier relationships, which embody appropriate IP/exclusivity conditions, to stimulate and coordinate the progression of technological advancement across multiple frontiers that supports or enables the other elements to deliver the improved system functionality (or other key characteristic such as feel/image/longevity, etc. ).